Why are these so difficult to make?! I thought no way could those beautiful, colorful confections be something chefs actually bake. They were just so perfect looking and pretty, they almost seem inedible. Like they should be a permanent decorative fixture on a French table at a dinner party. This book claimed they could actually teach the reader how to make these perfect little cookies. I had to have it. Needless to say I bought it. I suppose I should have posted this picture before I posted the cookies on the book. I guess they look ok to the untrained eye, but trust me folks, these are nowhere near what they should look like. That being said, I did receive many compliments on taste, which I count as a success! 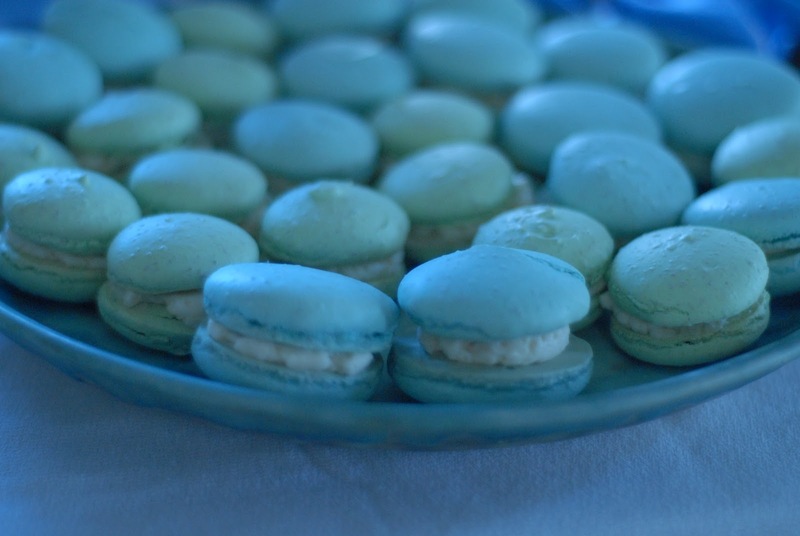 I am not finished with my foray into macaron making. I am merely taking a break and buying a few more bakeware items to assist in my quest to make a (near) perfect macaron. Did you use a convection oven? Hi Aubrey! No, I didn't. I used a regular oven and I didn't have those Silpats. I just used parchment paper. Have you made these before? !